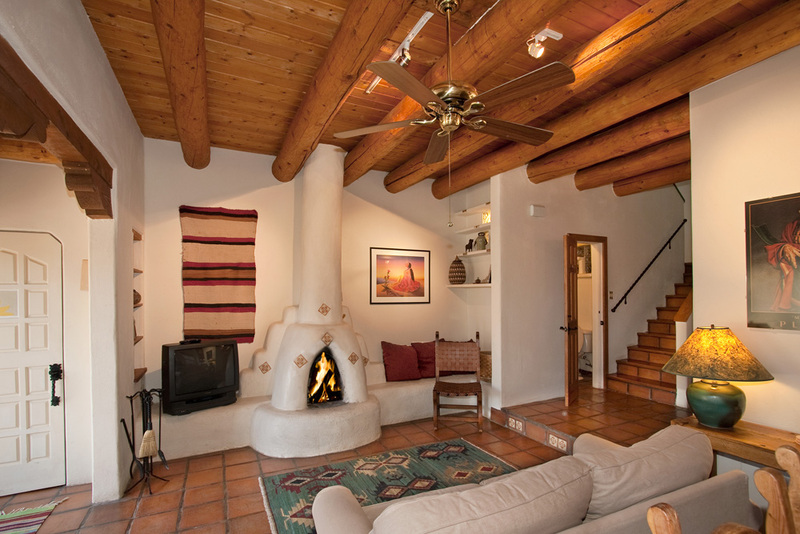 For short-term vacation rentals in Santa Fe, we highly recommend Two Casitas... locally owned, and totally service oriented. As an added bonus, the owner, Wendy Kapp, is a wonderful local resource and has the best updates on facebook and twitter! They offer 30 unique homes, all located in Santa Fe's finest neighborhoods only blocks away from The Plaza (the town’s historic center), Canyon Road (world-class galleries and restaurants), and the newly modernized Railyard District. Two Casitas’ vacation homes are tucked away in the city's most tranquil residential streets, yet strategically situated so you can experience our beautiful city on foot. You can choose from cozy, romantic studios---perfect for romantic getaways---to one-, two-, three-bedroom, and grand luxury homes spacious enough for weddings or family reunions. Each home is thoughtfully decorated with emphasis given to historic design themes, local materials and artisans, yet fully equipped with every modern comfort. Step across the threshold of your Two Casitas vacation rental and you’ll know you’re not in Kansas anymore---or New York, or Chicago, or Seattle. Santa Fe's distinctive adobe buildings and architecture evoke the city’s history as a confluence of Spanish and Native American cultures. Two Casitas promises their guests an authentic Southwest experience. 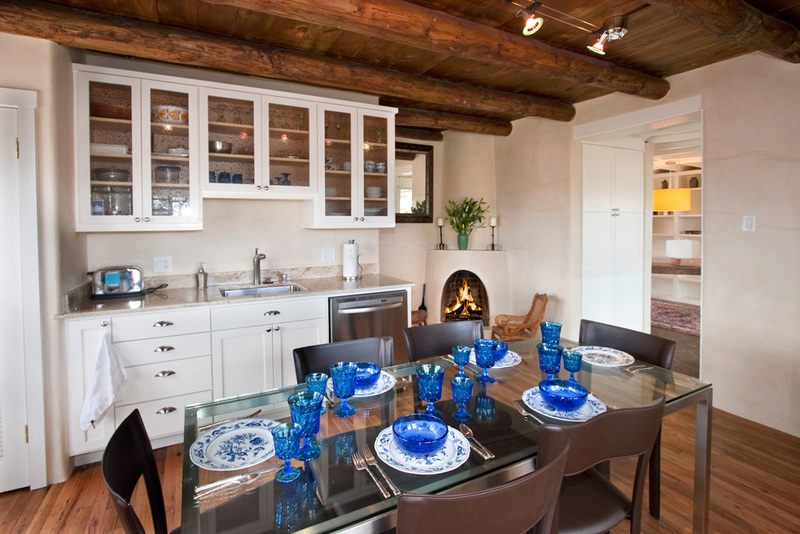 So whether you are looking for a century-old adobe home or a contemporary Santa Fe Style home, Two Casitas is sure to have something that will suit your taste.